Tablets may not be as prominent on this website as smartphones but we are equally passionate about both. And as much as we enjoy testing the latest gadgets in and out, we hope too that while doing that we help you make informed buying decisions. That's what these shopping guides are for. It's been a while since this article was last updated and that's mainly down to the lack of much movement in the market since December. Keen as ever to not miss anything, we've been closely following all developments. So here's the latest edition of our tablet buying guide. We cater to a quite diverse international audience, so most of the times we won't be mentioning specific prices but we're sure you'll know a deal when you see one. Our job would be to list what we think are the best tablets out there, so there should be a good enough bang for your buck whichever of these you go for. We've broken down our tablet recommendations into three distinct categories: compact, midsize, and full-size. And since tablets generally come in both Wi-Fi-only and 3G/LTE-enabled variants, we've split each section accordingly. On each page the different options will be listed according to their price range - from affordable to ridiculous, each with their merits. We get things started in the compact tablet category. Compacts are growing in popularity not only in casual living room environments, but also out in the open and even in corporate scenarios, thanks to their versatility and portability. This category also offers the cheapest way to get into tablets in the first place so we assume there would be a lot of first-time buyers here. Moving on, midsize tablets are for people who want a bit more screen estate while still maintaining portability. What exactly constitutes a midsize tablet will be different for each individual user, and can be anywhere between 7.5"-9". We'll give you plenty of choice when it comes to finding the right combination of size, features, and price. This is the newest category of the three and it might as well attract new tablet users who have been so far unwilling to commit to either of the two extremes of the tablet range - the 7-inchers and the 10-inchers. Finally, full-size tablets are those that touch or cross the 10" mark. This is where top manufacturers like Samsung, Sony, and Apple will duke it out for dominance. Some of these tablets are just a keyboard away from compact laptop territory, so be sure that this is the way you want to go when you consider your options. For each section, we order our recommendations starting with the cheapest, most worthwhile tablets available from a reputable manufacturer. While so-called "whitebox" offerings from lesser-known makers are surging and account for a huge amount of tablet growth - particularly ones running Android - their affordable price is oftentimes the result of using low-cost components and they simply don't offer a reliable and consistent user experience (let alone regular software updates). 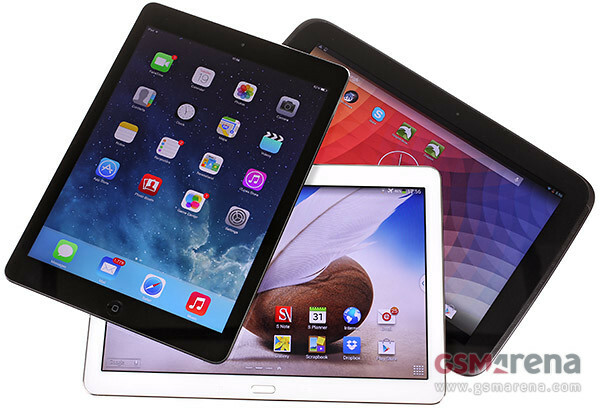 Above all, we value tablets with high-grade screens, robust performance, good build quality and rich connectivity options. We consider a poor screen to be a deal breaker and having wide viewing angles with no serious shift in colors and contrast is a must for a solid tablet user experience. Where possible, we would always pick a higher resolution screen as well. We don't consider cameras to be important on tablets and if you are only going to view your photos on the tablet's screen, then a high resolution camera is hardly a must. We like seeing tablets with card slots to cheaply top up the built-in storage but still we reckon 16GB is the minimum built-in memory you should consider. For modern day tablets without card slots, we always recommend getting the 32GB version, as a mere 16GB simply doesn't cut it anymore. 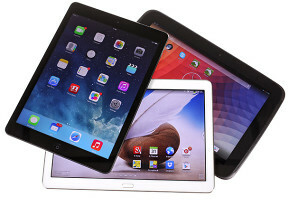 Or, just sit back and enjoy the latest edition of our tablet shopping guide. I still find iPad very enjoyable to use. So far, not a single tablet i evaluated can replace it.